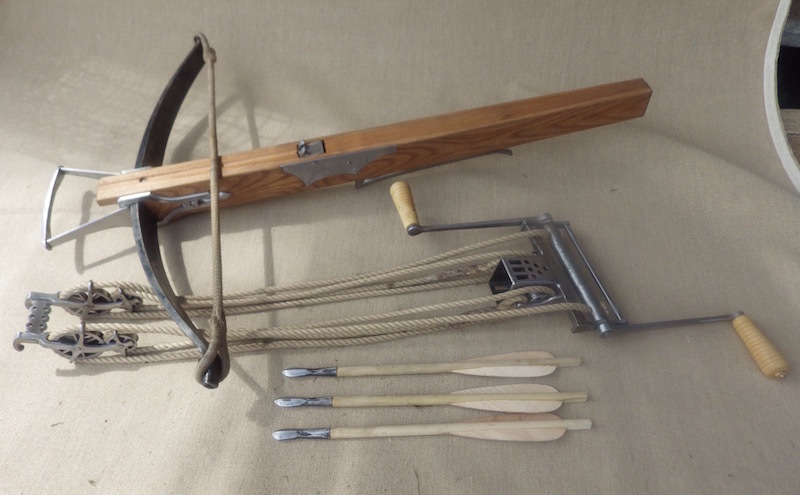 This is a 850lb cross bow with an English windlass. 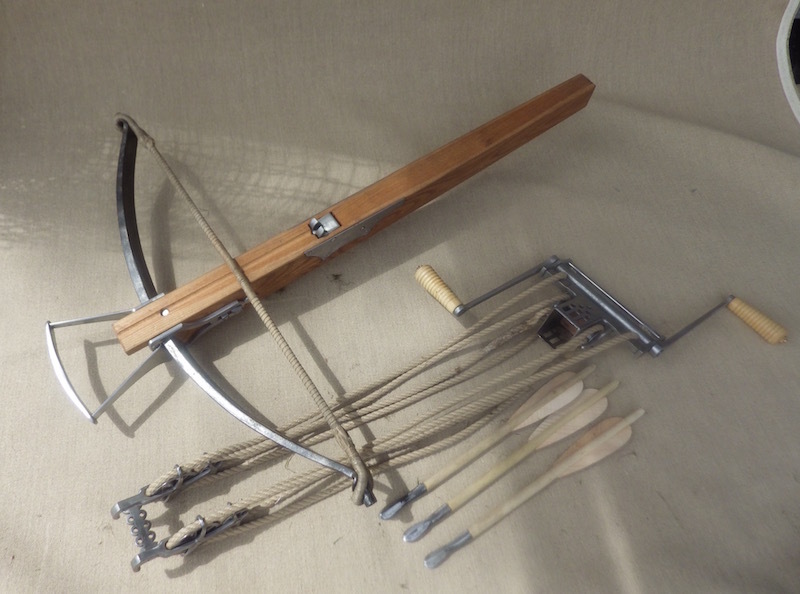 Of course we associate the English with the longbow, but this style was indeed called the English windlass, so there must have been used enough to merit that. 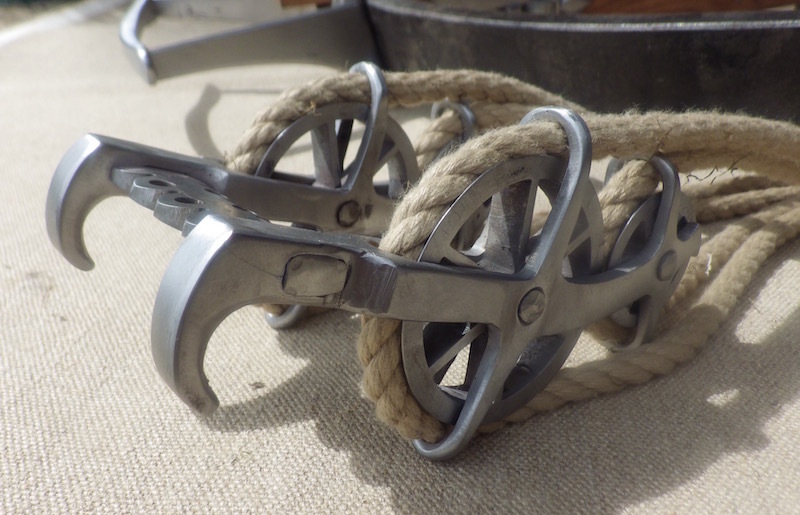 The other main type is called the German windlass where the two front wheels are smaller and side by side. Bias perhaps, but I much prefer this layout. 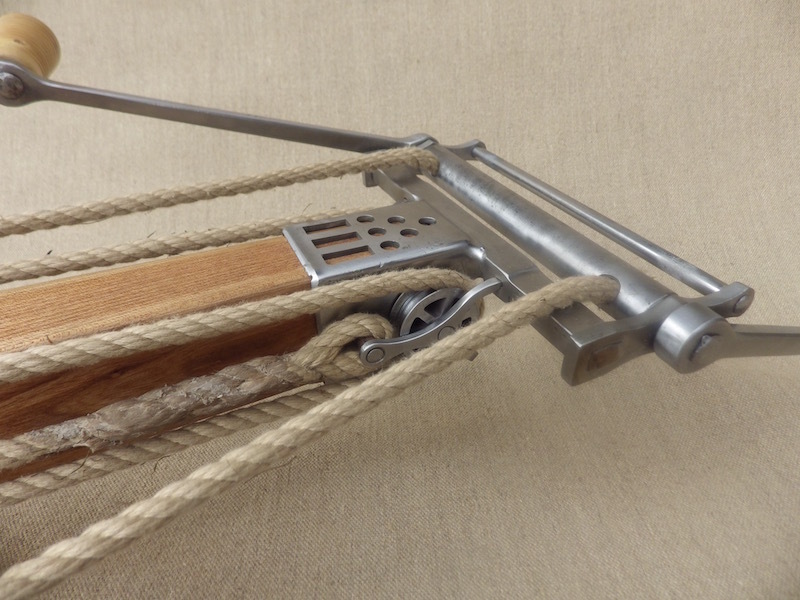 It is made to the usual specification, so that it has a forged steel bow, drawing 850lbs, the nocks are rolled and it is fitted with a waxed linen string. It is held in place with steel bow irons and wedges. 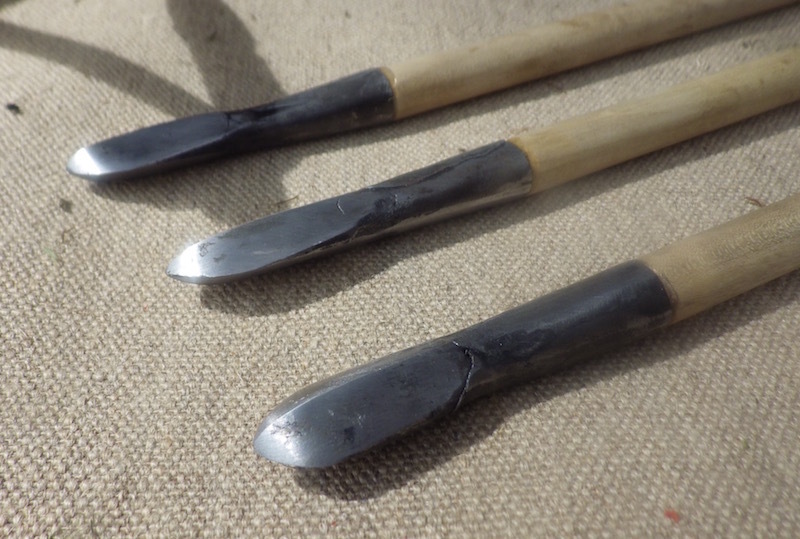 The wedges allow east removal, but also importantly, hemp bindings can move in size and so the bow can loosen and in fact there are images of soldiers soaking their bows in butts of water to tighten the cords, as they shrink when wet. Incidentally why I think the accounts of Crecy (?) when the bows strings got wet and stretched I think are wrong as natural fibres shrink when wet. Much more likely to have softened the adhesive in the composite bows. The stock is elm with a forward reinforcing pin, steel nut with hardened sear and steel sprung trigger, with steel cheek plates. 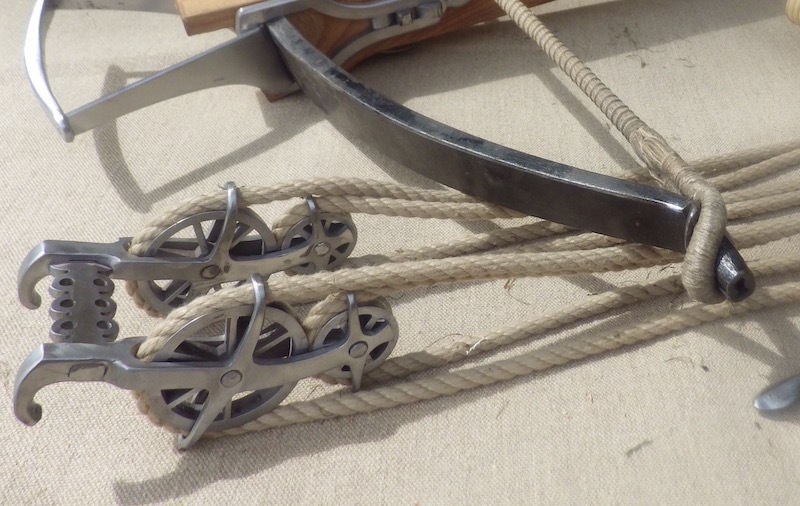 The windlass has spoked wheels and has box wood grips. This bow has not been put on a chronograph, but it will deliver about 140J of energy. I hope you like it. Comments, thoughts and whatever are very welcome. The bow looks looks great Tod. I have to say the windlass is what really has caught my eye with this piece. The intricate look of the pulleys is simply superlative. It is the details like this that set a true artisan apart from even high level craftsmen. Nice work as always Tod. I would love to see a video of this beauty in action. 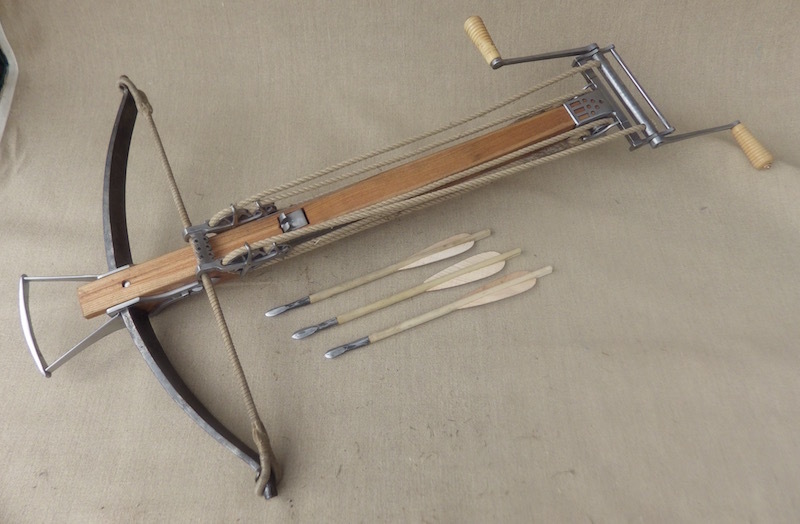 What a nice crossbow! Excellent craftsmanship!